You can expect to grow in your walk with God and develop relationships with like-minded ladies. The fellowship component is wonderful as well. 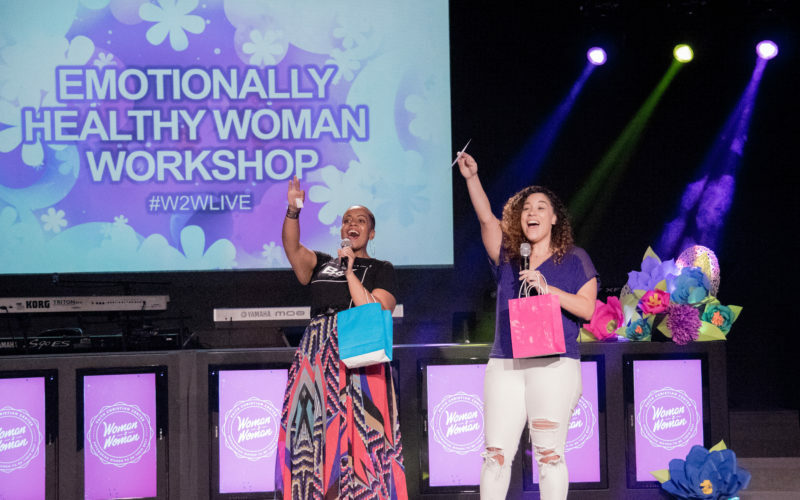 Ladies from various states and even other countries get an opportunity to discuss relevant issues from a biblical perspective with other women who are striving to live for God, just like you are. You can purchase books at the PowerSource Bookstore located at Faith Christian Center in Phoenix, Arizona or your local or online bookseller. Please click the button below to join the Woman2Woman Book Club. The Woman2Woman Book Club was founded in February of 2011 to enable women just like you to grow in their faith in the convenience of their own home and on their own schedule. Since then, we have grown to over 1,500 members! Many have met in person or connected online as a result of our Facebook group. We encourage you to participate in the book discussions and receive daily posts of encouragement. The Book Club Leadership Team prayerfully selects every book. Many members have discovered their purpose, received the courage to forgive and gained emotional healing. Our mission is to empower women to be their best. It is our sincere prayer that your life will be greatly enhanced by the book club. Victories don’t come by accident. You need a strategy if you want to win in life. But not just any strategy…you need one that incorporates the wisdom of God. Live to Win is your blueprint for successful living. It provides universal principles and strategies to help you think and live like a champion. They are simple and easy to implement. You will begin to experience victories in these critical areas of your life: Spiritual Well-Being, Physical Health, Mental Health, Finances, Relationships. “Love Yourself to Life” encourages women to embrace the essence of loving themselves completely. The book provides practical steps to living a life of peace, joy, positive intrapersonal communication, and purpose. Testimonies from women who’ve embraced the importance of positive self-talk will encourage readers to be attentive to what they are thinking and saying about themselves. Readers will gain insight on how to avoid seeing someone else’s life through the Stain Glass Window Syndrome. When it comes to anxiety, depression, and stress-related illnesses, America is the frontrunner. Thankfully, there’s a practical prescription for dealing with them. Anxious for Nothing, the most recent book from New York Times bestselling author, Max Lucado, provides a roadmap for battling with and healing from anxiety. What you think about yourself is more powerful than what anyone else thinks of you. This book will help you to learn healthy ways of thinking that will empower you to become the person you have the potential to be. It’s time for an honest conversation on how not to give in to the temptation to give up. Nicki Koziarz is a woman who has thrown in the towel a time or two. In fact, she’s quit just about everything in her life. But with God’s help, she’s discovered a few habits that have helped her and others conquer the choice to quit. Lisa shares heart-wrenching difficult stories from her past, as well as some side-splitting hilarity along the way. Throughout the book, we see that happiness and sadness can coexist and ebb and flow like the tides. This book is not a Snuggie. The words on these pages will not go down like Ambien. I’m not writing to calm or coddle you. With God’s help, I intend to incite a riot in your mind. Trip your breakers and turn out the lights in your favorite hiding places of insecurity and fear. Then flip the switch back on so that God’s truth can illuminate the divine destiny that may have been lying dormant inside you for years. Women’s lives are more hectic today than ever; the demands of child rearing, work, ministry, and marriage can drain women of energy and enthusiasm. What they need is order; they need a plan for prioritizing what’s important and sticking to it. Lysa TerKeurst has created Living Life on Purpose to answer this obvious need.